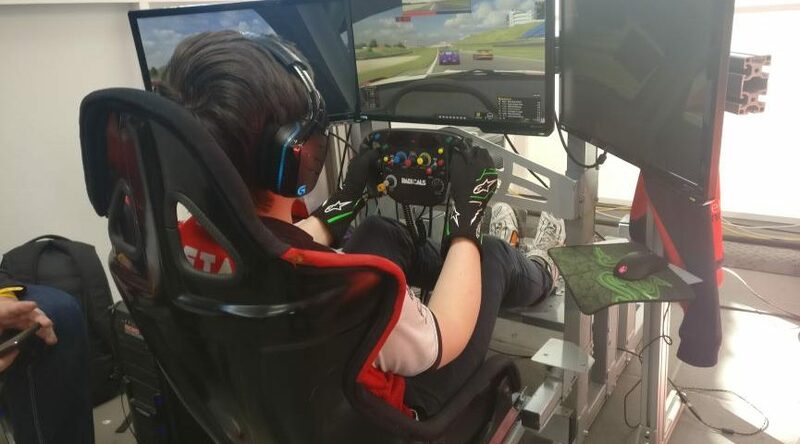 The final day of 2018’s Sim Racing Expo saw the Scandinavian duo of Carl Jansson (SWE) and Sindre Setsaas (NOR) take to the virtual Nurburgring circuit for the ADAC Digital GT500. 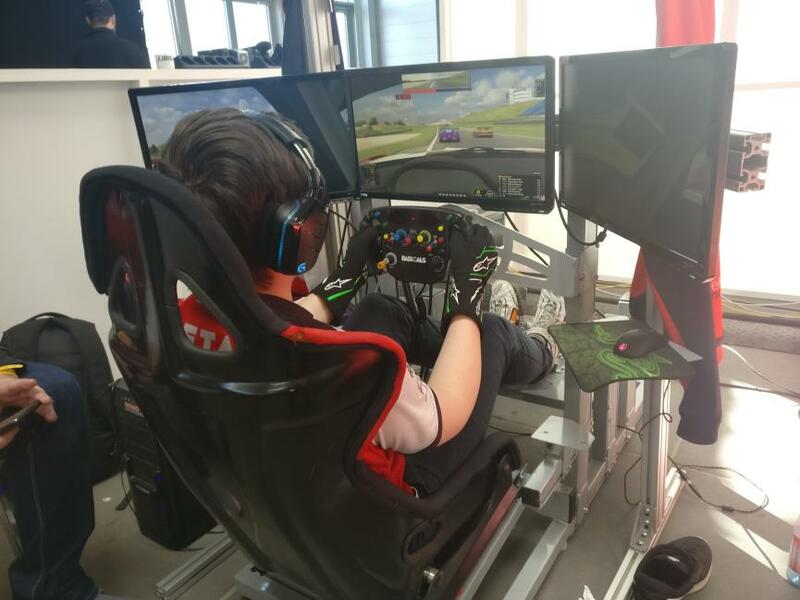 A LAN event brings many new challenges to sim-racing with our drivers realistic about their aims ahead of race-day. “Our ultimate goal is to be the fastest BMW,” was Sindre’s response when asked for his hopes on the Saturday before the race “it will be important to make as little mistakes as possible with such a high quality field.”. Come Sunday morning and qualifying the car was Sindre. Struggling early due to sunlight shining awkwardly on the screens, reducing visibility, Sindre did well to bring the car up into 12th position with a 1:51.331. A time only +0.804 off the pole time set by the Audi of Pure Racing Team Red. With qualifying not the team’s strong-suit, the drivers knew a clean race could yield a strong climb through the field. Building up to the race start after a positive qualifying session, we spoke to second driver Carl about how he felt ahead of the race. “I am a little bit further off the pace than I would like, I’m struggling with the screens slightly [due to normally running VR] but hopefully as the stint goes on I can adjust to it better.”. A hectic opening lap saw Sindre bring the car up through the field and into 8th by its conclusion, however a slowdown penalty for track limits over the Schumacher-S on the second lap dropped him down to 12th again. After fighting back with laps equal to the pace of the leaders, Sindre found himself in a rhythm sitting in 6th position. Pitting on lap 34, Sindre continued to show his strong pace during his second stint, maintaining a steady gap to the cars around him. Jumping into the car for the final 30 laps was Carl as he looked to consolidate the teams strong position. After the final round of pit-stops Carl emerged in 5th, having jumped Coanda Simsport 8. 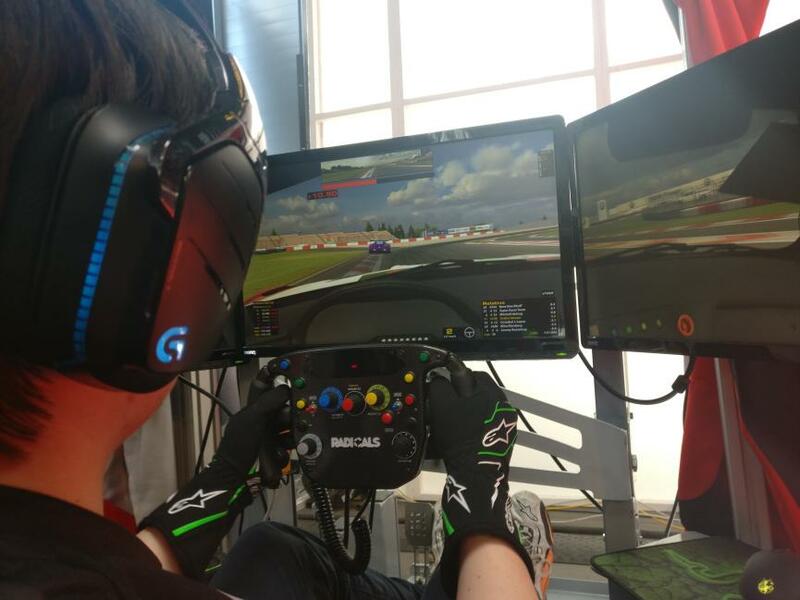 Strong pace from both Coanda and trailing Williams eSports cars however meant that by the conclusion of the race Carl dropped back to 7th position after 100 laps of racing. A solid result for the team who will be sure to build upon promising signs from this year and look to take the fight to the leaders next time. We at Radicals would like to congratulate Pure Racing Team Red for a dominate display throughout the whole race as well as all the other teams involved and who made the event so fantastic.